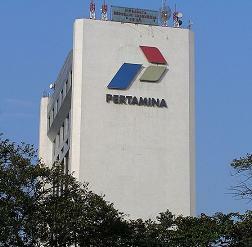 JAKARTA: Indonesia’s state-owned oil and gas company Pertamina posted a respectable net income of roughly USD$2.7 billion in 2011, up 40.7% year-over-year. Pertamina was previously a leader in Southeast Asia but has since fallen behind other national energy companies such as Petronas and Petrobras in production and revenue. Only recently has the company been able to organize financing for making a big push to find new reserves and reclaim its lead as the regional leader. A capital investment plan has been laid out and financing raised through bonds. Even though current Indonesian proven reserves are less than 4 billion barrels, Indonesia offers a diversity of geological basins and only 38 of 128 total have been extensively explored. Sixty hydrocarbon basins are estimated to hold 106.2 billion barrels of oil equivalent (boe) according the Agency for the Assessment and Application of Technology (BPPT). Another group of basins is estimated at an additional 89.5 billion boe. But 60 percent of Indonesia’s potential new fields are located in offshore deepwater and highlight the challenges in procuring oil and gas with existing technology and the huge capital cost that are required. With promising Indonesian reserves, Pertamina had plenty of prospects but it lacked the capital, technology, and strategy to regain its position as the leading producer in Southeast Asia. It has now shifted its strategy to emphasize growth, acquire advanced technology, and make a strong move into international markets. Other leading oil companies use a growth-oriented strategy that costs more in the short run but delivers results in the long run. For instance, Brazilian Petrobras recently announced a USD$224 billion investment plan through 2015 to expand deepwater operations and double its oil and gas production in the next ten years. Malaysian state petroleum company Petronas pays only 30% of net income as dividend to the government as part of a policy designed to support rapid corporate growth by using profit as investment capital for new exploration. But in the past, most of Pertamina’s revenue was collected by the Indonesian government and the company was left with little to finance growth. A stagnant national oilfield has been the dire consequence of this lack of capital investment: roughly 5,000 older wells and 50 fields managed by Pertamina were idle across the country and leading to its lower production. Moreover, the company mainly pursued joint operation ventures to compensate for the chronic lack of capital and expertise. 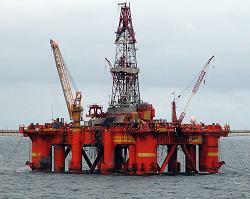 Indonesia has extensive deepwater for exploration and global trends are leading that way. To turn the tide, Pertamina management announced an unprecedented capital expenditure investment of over USD$30 billion over the next four years to ramp up production and expand operations. Last year, Pertamina successfully issued global bonds in amount of $1.5 billion which were seven times oversubscribed and suggest strong public confidence in the company. Following the strong demand for Pertamina’s bonds, market capitalization could be another pending strategy to raise much-needed funds. Brazilian Petrobas has built up the 5th-largest market capitalization in the world, doubled its market value, and is positioned to afford sophisticated new drilling equipment and also maintain and expand its production infrastructure. As a result, Petrobas has surged into the front ranks of global producers. Considering the sizeable unexplored Indonesian offshore and the need for large capital, Pertamina may choose to follow that model. The recent appointment of Mr. Dahlan Iskan as the new Indonesian Minister of State Enterprise and who is charged with oversight of Pertamina provides a nice boost to the government’s business management savvy and may lead to a Pertamina market capitalization. With additional capital in hand, Pertamina could build a technology center focused on profitable new techniques and equipment while hiring the experts who can train the work force to use them. Enhanced oil recovery, unconventional reservoir development (shale oil/gas), and ultra deepwater are important because remaining Indonesian conventional reserves are dwindling. During the last couple of decades, the best Indonesian oil & gas professionals were lured away by the major oil companies with prominent positions and generous pay packages. However, Pertamina’s management has shifted to offering competitive compensation and has lured many brainy professionals back home. International markets are another point of focus and Malaysia’s Petronas is a good success story. In 1996, the company’s overseas business accounted for less than 10% of total income but it now operates in 35 countries for more than 42% of its revenue. Although Pertamina faced a setback with its unsuccessful bid for an Angolan oil block under control by ExxonMobil, it is ready to target blocks in Vietnam, Kazakhstan, Angola, Iraq, Sudan, and Algeria. Its business venture exporting lubricant “Fastron” to China, South Korea, Australia, and Nepal has been a good success. Pertamina has also expanded its leading role in domestic oil fields by acquiring BP’s stake in the Offshore North West Java (ONWJ) block where it gained valuable experience and successfully improved the field’s performance. The government of Indonesia facilitates this expansion by transferring expiring oil & gas contracts with international companies to Pertamina, increasing the company’s value and revenue with minimal risks. 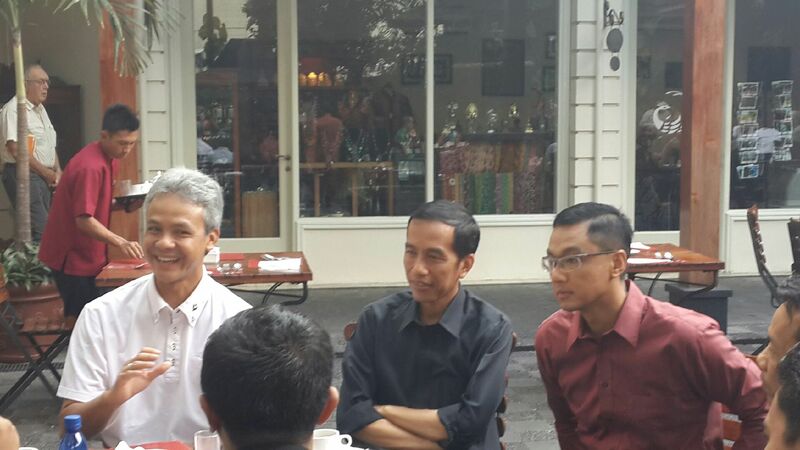 There has been a strategic shift on the part of the Government of Indonesia to back Pertamina. The government seems to now understand that investing in productive oil and gas assets will promote future profitability—a better decision than spending now on domestic programs for political gain. These expansions and new revenue streams show the right initiative and that the company is moving more fully into the energy sector. With a better plan and capital in hand, Pertamina is now in position to once again be a player among the world’s energy suppliers. 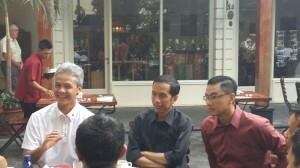 Darmawan Prasodjo, PhD, Arcandra Tahar, PhD, Erwinsyah Putra, PhD, Zuher Syihab, PhD, and Prahoro Nurtjahyo, PhD – Petronomist.com. The authors are Indonesian nationals and have no relationship with Pertamina. The authors wish to thank Benny Lubiantara and Adhi Cahyono for reviewing the article.